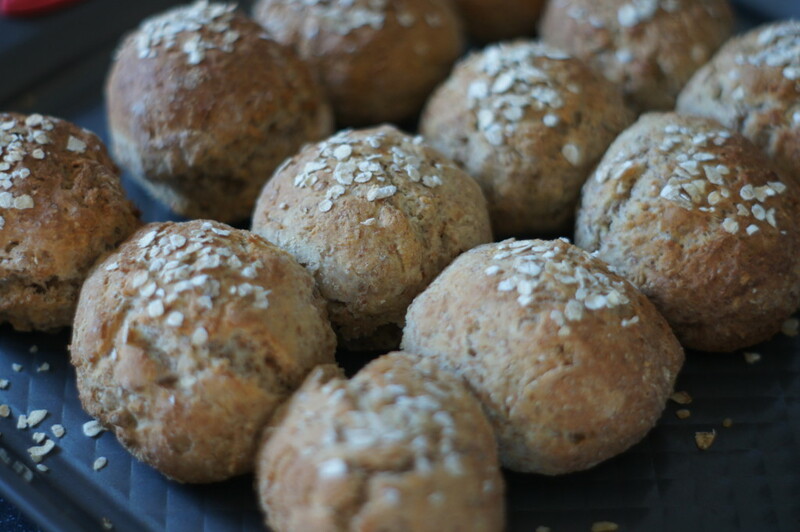 If you need some bread rolls in a hurry this is the recipe for you. No kneeding, no proving, no rising. Mix it all in a bowl, shape into rolls, bung in the oven and you’re good to go. I’ve never made soda bread before so was intrigued to see how this recipe would turn out. It doesn’t use yeast. Instead it’s all about the reaction between the buttermilk and bicarbonate of soda which kickstarts the rising process. I was really pleased with how well these rolls turned out. Not only did they look good, but they taste good too. This is a recipe I found on the Delicious Magazine website. I’ll definitely be making them again.